YUSUFALI: Whatever is in the heavens and on earth,- let it declare the Praises and Glory of Allah: for He is the Exalted in Might, the Wise. PICKTHAL: All that is in the heavens and the earth glorifieth Allah; and He is the Mighty, the Wise. SHAKIR: Whatever is in the heavens and the earth declares the glory of Allah, and He is the Mighty, the Wise. YUSUFALI: To Him belongs the dominion of the heavens and the earth: It is He Who gives Life and Death; and He has Power over all things. PICKTHAL: His is the Sovereignty of the heavens and the earth; He quickeneth and He giveth death; and He is Able to do all things. SHAKIR: His is the kingdom of the heavens and the earth; He gives life and causes death; and He has power over all things. YUSUFALI: He is the First and the Last, the Evident and the Immanent: and He has full knowledge of all things. PICKTHAL: He is the First and the Last, and the Outward and the Inward; and He is Knower of all things. SHAKIR: He is the First and the Last and the Ascendant (over all) and the Knower of hidden things, and He is Cognizant of all things. YUSUFALI: He it is Who created the heavens and the earth in Six Days, and is moreover firmly established on the Throne (of Authority). He knows what enters within the earth and what comes forth out of it, what comes down from heaven and what mounts up to it. And He is with you wheresoever ye may be. And Allah sees well all that ye do. PICKTHAL: He it is Who created the heavens and the earth in six Days; then He mounted the Throne. He knoweth all that entereth the earth and all that emergeth therefrom and all that cometh down from the sky and all that ascendeth therein; and He is with you wheresoever ye may be. And Allah is Seer of what ye do. SHAKIR: He it is who created the heavens and the earth in six periods, and He is firm in power; He knows that which goes deep down into the earth and that which comes forth out of it, and that which comes down from the heaven and that which goes up into it, and He is with you wherever you are; and Allah sees what you do. 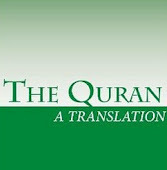 YUSUFALI: To Him belongs the dominion of the heavens and the earth: and all affairs are referred back to Allah. PICKTHAL: His is the Sovereignty of the heavens and the earth, and unto Allah (all) things are brought back. SHAKIR: His is the kingdom of the heavens and the earth; and to Allah are (all) affairs returned. YUSUFALI: He merges Night into Day, and He merges Day into Night; and He has full knowledge of the secrets of (all) hearts. PICKTHAL: He causeth the night to pass into the day, and He causeth the day to pass into the night, and He is knower of all that is in the breasts. SHAKIR: He causes the night to enter in upon the day, and causes the day to enter in upon the night, and He is Cognizant of what is in the hearts. YUSUFALI: Believe in Allah and His messenger, and spend (in charity) out of the (substance) whereof He has made you heirs. For, those of you who believe and spend (in charity),- for them is a great Reward. PICKTHAL: Believe in Allah and His messenger, and spend of that whereof He hath made you trustees; and such of you as believe and spend (aright), theirs will be a great reward. SHAKIR: Believe in Allah and His Messenger, and spend out of what He has made you to be successors of; for those of you who believe and spend shall have a great reward. YUSUFALI: What cause have ye why ye should not believe in Allah?- and the Messenger invites you to believe in your Lord, and has indeed taken your Covenant, if ye are men of Faith. PICKTHAL: What aileth you that ye believe not in Allah, when the messenger calleth you to believe in your Lord, and He hath already made a covenant with you, if ye are believers? SHAKIR: And what reason have you that you should not believe in Allah? And the Messenger calls on you that you may believe in your Lord, and indeed He has made a covenant with you if you are believers. YUSUFALI: He is the One Who sends to His Servant Manifest Signs, that He may lead you from the depths of Darkness into the Light and verily Allah is to you most kind and Merciful. PICKTHAL: He it is Who sendeth down clear revelations unto His slave, that He may bring you forth from darkness unto light; and lo! for you, Allah is Full of Pity, Merciful. SHAKIR: He it is who sends down clear communications upon His servant, that he may bring you forth from utter darkness into light; and most surely Allah is Kind, Merciful to you. YUSUFALI: And what cause have ye why ye should not spend in the cause of Allah?- For to Allah belongs the heritage of the heavens and the earth. Not equal among you are those who spent (freely) and fought, before the Victory, (with those who did so later). Those are higher in rank than those who spent (freely) and fought afterwards. But to all has Allah promised a goodly (reward). And Allah is well acquainted with all that ye do. PICKTHAL: And what aileth you that ye spend not in the way of Allah when unto Allah belongeth the inheritance of the heavens and the earth? Those who spent and fought before the victory are not upon a level (with the rest of you). Such are greater in rank than those who spent and fought afterwards. Unto each hath Allah promised good. And Allah is Informed of what ye do. SHAKIR: And what reason have you that you should not spend in Allah's way? And Allah's is the inheritance of the heavens and the earth, not alike among you are those who spent before the victory and fought (and those who did not): they are more exalted in rank than those who spent and fought afterwards; and Allah has promised good to all; and Allah is Aware of what you do. YUSUFALI: Who is he that will Loan to Allah a beautiful loan? for (Allah) will increase it manifold to his credit, and he will have (besides) a liberal Reward. PICKTHAL: Who is he that will lend unto Allah a goodly loan, that He may double it for him and his may be a rich reward? SHAKIR: Who is there that will offer to Allah a good gift so He will double it for him, and he shall have an excellent reward. YUSUFALI: One Day shalt thou see the believing men and the believing women- how their Light runs forward before them and by their right hands: (their greeting will be): "Good News for you this Day! Gardens beneath which flow rivers! to dwell therein for aye! This is indeed the highest Achievement!" PICKTHAL: On the day when thou (Muhammad) wilt see the believers, men and women, their light shining forth before them and on their right hands, (and wilt hear it said unto them): Glad news for you this day: Gardens underneath which rivers flow, wherein ye are immortal. That is the supreme triumph. SHAKIR: On that day you will see the faithful men and the faithful women-- their light running before them and on their right hand-- good news for you today: gardens beneath which rivers flow, to abide therein, that is the grand achievement. YUSUFALI: One Day will the Hypocrites- men and women - say to the Believers: "Wait for us! Let us borrow (a Light) from your Light!" It will be said: "Turn ye back to your rear! then seek a Light (where ye can)!" So a wall will be put up betwixt them, with a gate therein. Within it will be Mercy throughout, and without it, all alongside, will be (Wrath and) Punishment! PICKTHAL: On the day when the hypocritical men and the hypocritical women will say unto those who believe: Look on us that we may borrow from your light! it will be said: Go back and seek for light! Then there will separate them a wall wherein is a gate, the inner side whereof containeth mercy, while the outer side thereof is toward the doom. SHAKIR: On the day when the hypocritical men and the hypocritical women will say to those who believe: Wait for us, that we may have light from your light; it shall be said: Turn back and seek a light. Then separation would be brought about between them, with a wall having a door in it; (as for) the inside of it, there shall be mercy in it, and (as for) the outside of it, before it there shall be punishment. YUSUFALI: (Those without) will call out, "Were we not with you?" (The others) will reply, "True! but ye led yourselves into temptation; ye looked forward (to our ruin); ye doubted (Allah's Promise); and (your false) desires deceived you; until there issued the Command of Allah. And the Deceiver deceived you in respect of Allah. SHAKIR: They will cry out to them: Were we not with you? They shall say: Yea! but you caused yourselves to fall into temptation, and you waited and doubted, and vain desires deceived you till the threatened punishment of Allah came, while the archdeceiver deceived you about Allah. YUSUFALI: "This Day shall no ransom be accepted of you, nor of those who rejected Allah." Your abode is the Fire: that is the proper place to claim you: and an evil refuge it is!" PICKTHAL: So this day no ransom can be taken from you nor from those who disbelieved. Your home is the Fire; that is your patron, and a hapless journey's end. SHAKIR: So today ransom shall not be accepted from you nor from those who disbelieved; your abode is the fire; it is your friend and evil is the resort. YUSUFALI: Has not the Time arrived for the Believers that their hearts in all humility should engage in the remembrance of Allah and of the Truth which has been revealed (to them), and that they should not become like those to whom was given Revelation aforetime, but long ages passed over them and their hearts grew hard? For many among them are rebellious transgressors. PICKTHAL: Is not the time ripe for the hearts of those who believe to submit to Allah's reminder and to the truth which is revealed, that they become not as those who received the scripture of old but the term was prolonged for them and so their hearts were hardened, and many of them are evil-livers. SHAKIR: Has not the time yet come for those who believe that their hearts should be humble for the remembrance of Allah and what has come down of the truth? And that they should not be like those who were given the Book before, but the time became prolonged to them, so their hearts hardened, and most of them are transgressors. YUSUFALI: Know ye (all) that Allah giveth life to the earth after its death! already have We shown the Signs plainly to you, that ye may learn wisdom. PICKTHAL: Know that Allah quickeneth the earth after its death. We have made clear Our revelations for you, that haply ye may understand. SHAKIR: Know that Allah gives life to the earth after its death; indeed, We have made the communications clear to you that you may understand. YUSUFALI: For those who give in Charity, men and women, and loan to Allah a Beautiful Loan, it shall be increased manifold (to their credit), and they shall have (besides) a liberal reward. PICKTHAL: Lo! those who give alms, both men and women, and lend unto Allah a goodly loan, it will be doubled for them, and theirs will be a rich reward. SHAKIR: Surely (as for) the charitable men and the charitable women and (those who) set apart for Allah a goodly portion, it shall be doubled for them and they shall have a noble reward. YUSUFALI: And those who believe in Allah and His messengers- they are the Sincere (lovers of Truth), and the witnesses (who testify), in the eyes of their Lord: They shall have their Reward and their Light. But those who reject Allah and deny Our Signs,- they are the Companions of Hell-Fire. PICKTHAL: And those who believe in Allah and His messengers, they are the loyal, and the martyrs are with their Lord; they have their reward and their light; while as for those who disbelieve and deny Our revelations, they are owners of hell-fire. SHAKIR: And (as for) those who believe in Allah and His messengers, these it is that are the truthful and the faithful ones in the sight of their Lord: they shall have their reward and their light, and (as for) those who disbelieve and reject Our communications, these are the inmates of the hell. YUSUFALI: Know ye (all), that the life of this world is but play and amusement, pomp and mutual boasting and multiplying, (in rivalry) among yourselves, riches and children. Here is a similitude: How rain and the growth which it brings forth, delight (the hearts of) the tillers; soon it withers; thou wilt see it grow yellow; then it becomes dry and crumbles away. But in the Hereafter is a Penalty severe (for the devotees of wrong). And Forgiveness from Allah and (His) Good Pleasure (for the devotees of Allah). And what is the life of this world, but goods and chattels of deception? PICKTHAL: Know that the life of the world is only play, and idle talk, and pageantry, and boasting among you, and rivalry in respect of wealth and children; as the likeness of vegetation after rain, whereof the growth is pleasing to the husbandman, but afterward it drieth up and thou seest it turning yellow, then it becometh straw. And in the Hereafter there is grievous punishment, and (also) forgiveness from Allah and His good pleasure, whereas the life of the world is but matter of illusion. SHAKIR: Know that this world's life is only sport and play and gaiety and boasting among yourselves, and a vying in the multiplication of wealth and children, like the rain, whose causing the vegetation to grow, pleases the husbandmen, then it withers away so that you will see it become yellow, then it becomes dried up and broken down; and in the hereafter is a severe chastisement and (also) forgiveness from Allah and (His) pleasure; and this world's life is naught but means of deception. YUSUFALI: Be ye foremost (in seeking) Forgiveness from your Lord, and a Garden (of Bliss), the width whereof is as the width of heaven and earth, prepared for those who believe in Allah and His messengers: that is the Grace of Allah, which He bestows on whom he pleases: and Allah is the Lord of Grace abounding. PICKTHAL: Race one with another for forgiveness from your Lord and a Garden whereof the breadth is as the breadth of the heavens and the earth, which is in store for those who believe in Allah and His messengers. Such is the bounty of Allah, which He bestoweth upon whom He will, and Allah is of Infinite Bounty. SHAKIR: Hasten to forgiveness from your Lord and to a garden the extensiveness of which is as the extensiveness of the heaven and the earth; it is prepared for those who believe in Allah and His messengers; that is the grace of Allah: He gives it to whom He pleases, and Allah is the Lord of mighty grace. YUSUFALI: Such persons as are covetous and commend covetousness to men. And if any turn back (from Allah's Way), verily Allah is Free of all Needs, Worthy of all Praise. PICKTHAL: Who hoard and who enjoin upon the people avarice. And whosoever turneth away, still Allah is the Absolute, the Owner of Praise. SHAKIR: Those who are niggardly and enjoin niggardliness on men; and whoever turns back, then surely Allah is He Who is the Selfsufficient, the Praised. PICKTHAL: We verily sent Our messengers with clear proofs, and revealed with them the Scripture and the Balance, that mankind may observe right measure; and He revealed iron, wherein is mighty power and (many) uses for mankind, and that Allah may know him who helpeth Him and His messengers, though unseen. Lo! Allah is Strong, Almighty. SHAKIR: Certainly We sent Our messengers with clear arguments, and sent down with them the Book and the balance that men may conduct themselves with equity; and We have made the iron, wherein is great violence and advantages to men, and that Allah may know who helps Him and His messengers in the secret; surely Allah is Strong, Mighty. YUSUFALI: And We sent Noah and Abraham, and established in their line Prophethood and Revelation: and some of them were on right guidance. But many of them became rebellious transgressors. PICKTHAL: And We verily sent Noah and Abraham and placed the prophethood and the scripture among their seed, and among them there is he who goeth right, but many of them are evil-livers. SHAKIR: And certainly We sent Nuh and Ibrahim and We gave to their offspring the (gift of) prophecy and the Book; so there are among them those who go aright, and most of them are transgressors. YUSUFALI: Then, in their wake, We followed them up with (others of) Our messengers: We sent after them Jesus the son of Mary, and bestowed on him the Gospel; and We ordained in the hearts of those who followed him Compassion and Mercy. But the Monasticism which they invented for themselves, We did not prescribe for them: (We commanded) only the seeking for the Good Pleasure of Allah; but that they did not foster as they should have done. Yet We bestowed, on those among them who believed, their (due) reward, but many of them are rebellious transgressors. PICKTHAL: Then We caused Our messengers to follow in their footsteps; and We caused Jesus, son of Mary, to follow, and gave him the Gospel, and placed compassion and mercy in the hearts of those who followed him. But monasticism they invented - We ordained it not for them - only seeking Allah's pleasure, and they observed it not with right observance. So We give those of them who believe their reward, but many of them are evil-livers. SHAKIR: Then We made Our messengers to follow in their footsteps, and We sent Isa son of Marium afterwards, and We gave him the Injeel, and We put in the hearts of those who followed him kindness and mercy; and (as for) monkery, they innovated it-- We did not prescribe it to them-- only to seek Allah's pleasure, but they did not observe it with its due observance; so We gave to those of them who believed their reward, and most of them are transgressors. YUSUFALI: O ye that believe! Fear Allah, and believe in His Messenger, and He will bestow on you a double portion of His Mercy: He will provide for you a Light by which ye shall walk (straight in your path), and He will forgive you (your past): for Allah is Oft-Forgiving, Most Merciful. YUSUFALI: That the People of the Book may know that they have no power whatever over the Grace of Allah, that (His) Grace is (entirely) in His Hand, to bestow it on whomsoever He wills. For Allah is the Lord of Grace abounding. PICKTHAL: That the People of the Scripture may know that they control naught of the bounty of Allah, but that the bounty is in Allah's hand to give to whom He will. And Allah is of Infinite Bounty. SHAKIR: So that the followers of the Book may know that they do not control aught of the grace of Allah, and that grace is in Allah's hand, He gives it to whom He pleases; and Allah is the Lord of mighty grace.